Go from namaste to legging nirvana with these easy styling tips. Lucky for us, leggings are now officially considered full-fledged pants. Great news for ladies who refuse to trade comfort for style (um, hello, that’s just about all of us, right?). No matter your age or body type, leggings are easy to wear. The trick is to wear them with items that take that casual vibe to the next level and—depending on the occasion—beyond. It’s a bit of an art form and we’re happy to paint a few pictures of legging outfit ideas for you. Black leggings blend well with just about any color. 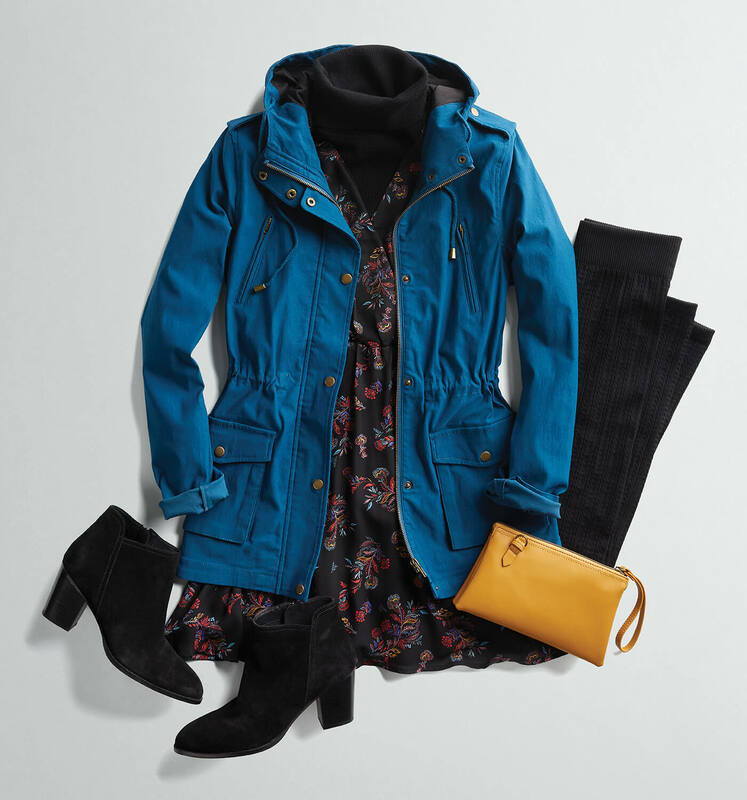 Switch out your opaque tights for a pair of black fleece leggings for a warm way to wear your favorite floral dress. Add a bright cargo jacket and clutch, and you’re ready for any season. We also love the simplicity of a black pair of leggings with a black turtleneck and black booties. Monochromatic makes a statement, too. Subtle prints or patterns are the perfect partners for a dressier, more sophisticated look. We love the contrast of a dark brown animal print legging with a pop-of-color sweater. 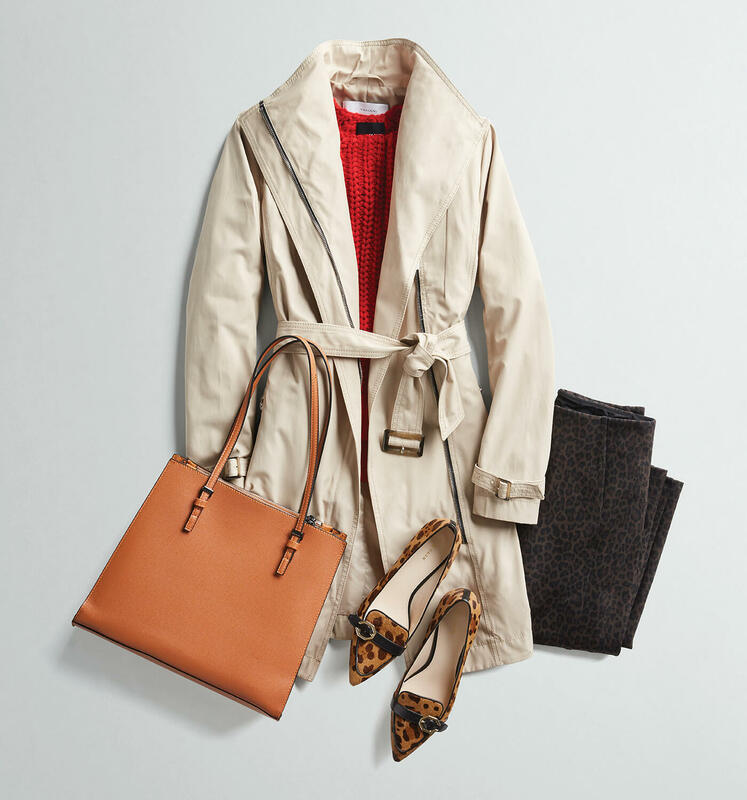 Finish the look with a trench coat and a pair of leather loafers. Add a handy tote and you’re ready to hit the streets—or the runway. Glam leggings let you rock a sleek look on the plane and off. The queen of comfort, athleisure wear is a trend that appears to have royal staying power. With so many ways to mix it up, it’s no wonder. We like the addition of a knit bomber jacket to add structure to an otherwise sporty look. Swap a basic tee for a long-sleeved striped number that complements the side-striped legging. An oversized tote (to stash your “other” gym clothes) and zip-up high tops complete the go-anywhere look. Who says leggings can’t be functional and flattering? 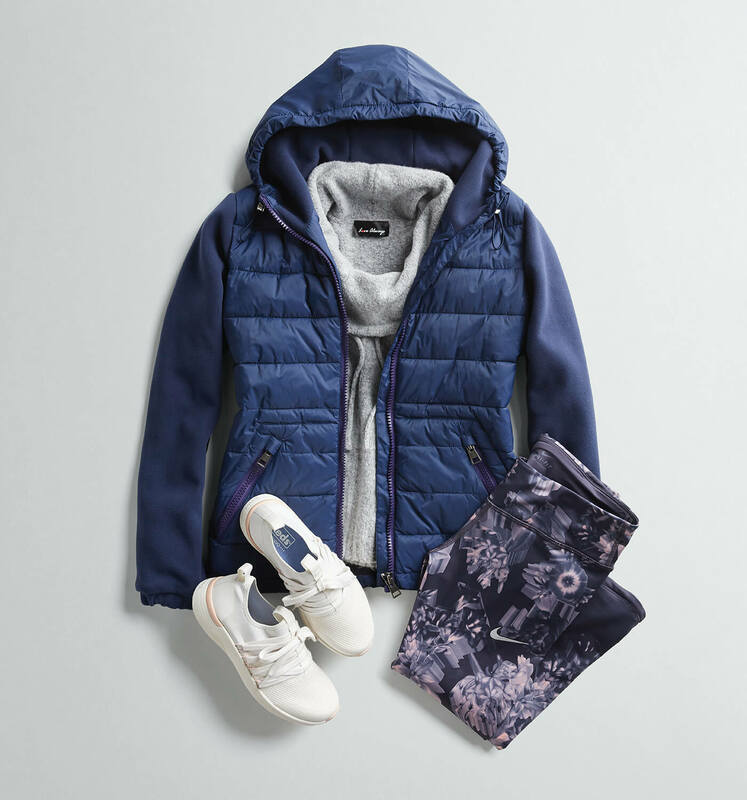 To steer your look away from full-on gym rat, pick an on-trend puffer and plush sweater in contrasting colors, figure-flattering performance leggings in a whimsical pattern and crisp white sneakers. Now, you’re ready for action. Easy to move—and sit in, leggings styled with office-friendly pieces, such as a classic button-down shirt worn untucked under an oversized blazer give you the length needed for coverage where you want it (um, yes, your rear!). Add a pair of ankle boots for a streamlined, professional look that doesn’t deter from the leggings’ sporty vibe. Get your leggings outfit love on! Ask for a few of these ultra-versatile, uber comfy wardrobe staples in your next Fix. Need a new pair of leggings? Schedule a Fix and request a pair from your Stylist!